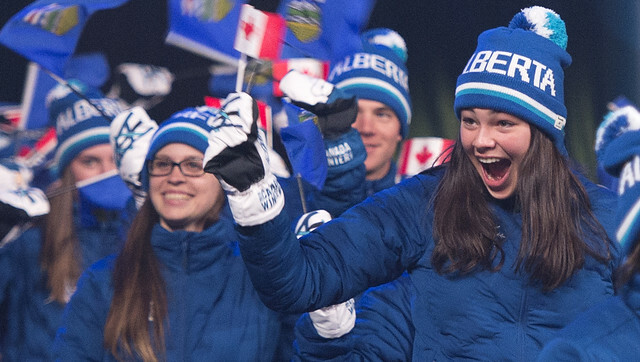 Team Alberta broke records at the 2019 Canada Winter Games. Team Alberta took home 100 medals, including a record 36 gold, finishing third behind Quebec and Ontario. They also took home the Centennial Cup for showing greatest improvement, and the Jack Pelech Award for best combination of good sportsmanship, fair play, cooperation and competitive performance. The Games were held in Red Deer from Feb. 15 to March 3. More than 20,000 visitors came to the region to watch or participate in the event, which is expected to create an economic impact of more than $130 million. This year’s Games were made possible thanks to the support of the Winter Games Host Society, the City of Red Deer and more than 5,000 volunteers. The Alberta government, through the Alberta Sport Connection, contributed $11 million to the Games. The province also contributed $80 million to improve the interchange at Gaetz Avenue and the QEII, including new on and off ramps and construction of five new bridges. Red Deer College received $72 million, including $52 million through the Alberta Capital Finance Authority, to construct the Gary W. Harris Centre, which was used extensively for the Games. The Canada Games is the nation’s largest multi-sport and culture event for amateur athletes. It is held every two years, alternating between winter and summer events. Alberta previously hosted the Games in Grande Prairie in 1995, and in Lethbridge in 1975.